Rare New England Opportunity: The Perfect Liveaboard! 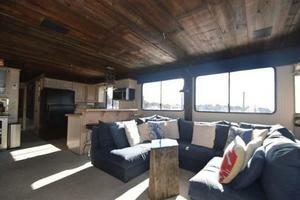 Highly customized 65" Sumerset houseboat offered turnkey and ready for year round living in Boston! 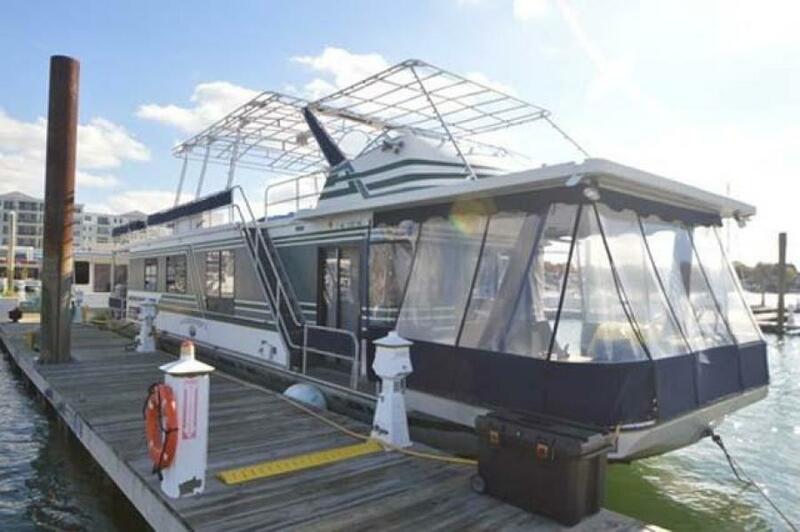 This luxurious floating home boasts great amenities such as huge top deck, 4 season enclosed bow "porch", large aft-deck, fully applianced kitchen, washer and dryer, surround sound system, newer 2-Ton all-season heat pump for year round comfort, 2 bedrooms plus separate office (convertible back to a 3rd bedroom if desired) 1 1/2 baths and too many others to mention here. 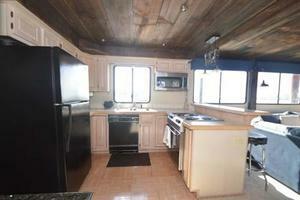 She is only offered due to owner relocation abroad and is in excellent condition. Cuckoos Nest II offers true waterfront living at a fraction of the cost of her real-estate counterparts. She is a must see and awaiting your visit. 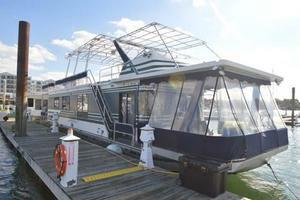 United Yacht Sales New Jersey would love to guide you through a personal showing of this 65' Sumerset Houseboat 1993. This yacht for sale is located in Boston, Massachusetts and priced at $159,000. For a showing please contact us by filling out the form on this page and we will get back to you shortly! 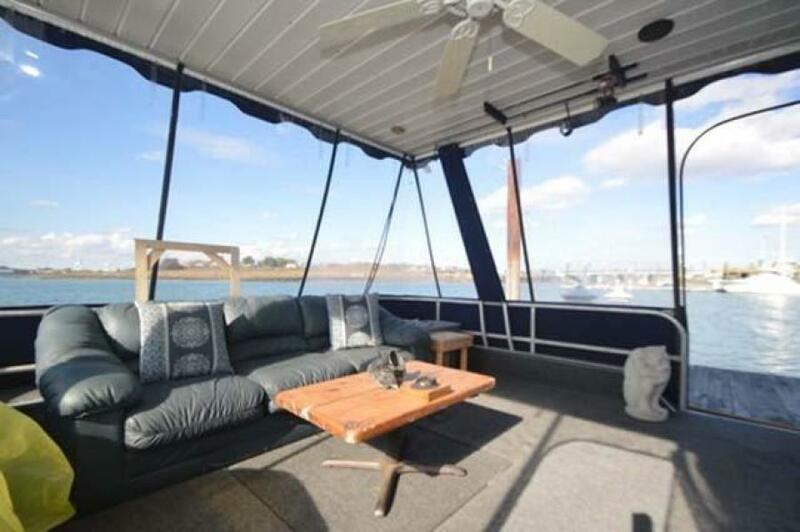 Entering starboard and forward is the enclosed 4 season porch with full clear enclosure than can be opened. 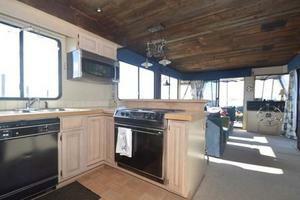 Proceeding aft through double glass sliding door is the full beam salon/galley in a country kitchen arrangement. 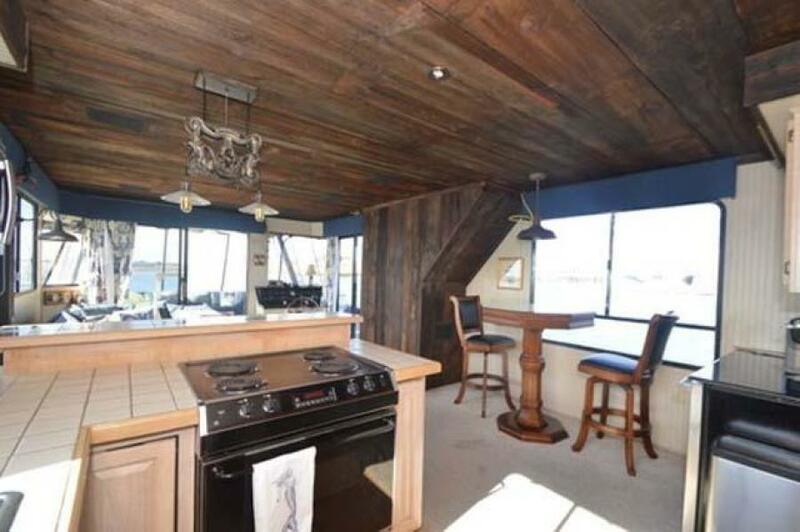 The lower helm station is immediately to starboard. Located portside is a U-shaped soft fabric couch area with coffee table opposite of which is the media wall with concealed electrical panel and space for a large wall mounted flat screen TV. This area is wide, open and airy and features a custom antique barn board ceiling with accent lighting and embedded speakers. Further aft and to port is the very spacious and workable U shaped galley with full sized fridge, oven/stovetop, microwave and dishwasher. Opposite and to starboard is a dining area currently with high top table and 2 chairs. 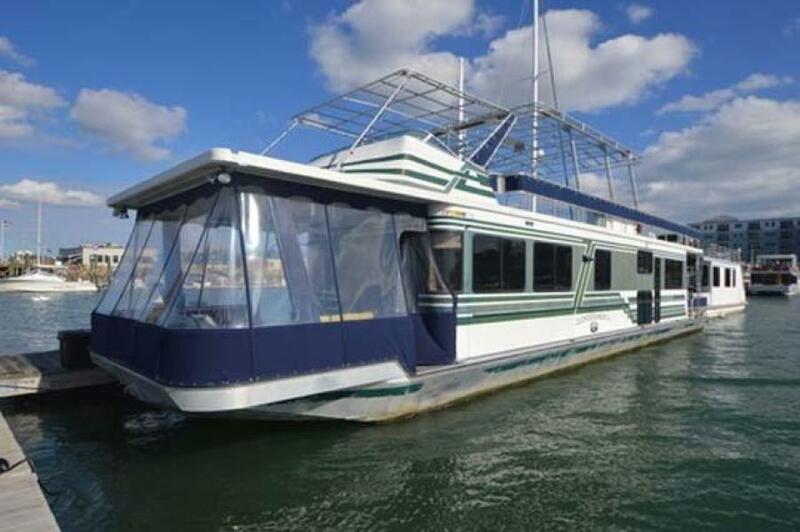 (a table for 4-6 could be easily substituted here) Proceeding aft through the center hallway the port guest stateroom is found with elevated double bed and ample storage closet and drawers. 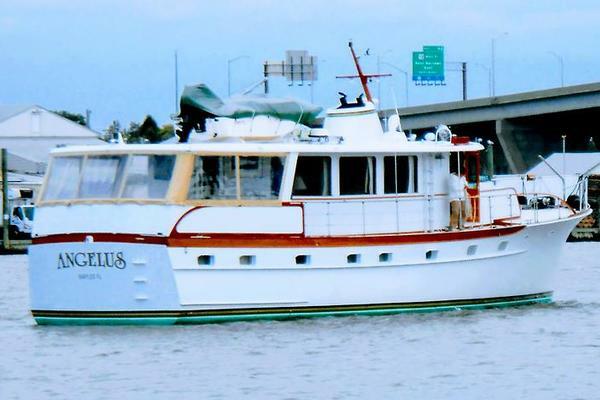 Opposite and starboard is the full bath with enclosed tub, sink with vanity and newer Raritan Atlantes electric macerating head. 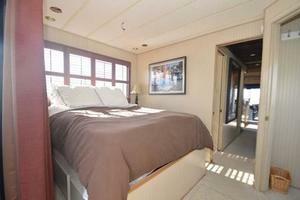 Aft and again to port down a couple of steps is the 3rd stateroom currently setup as an office. 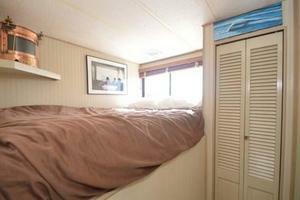 This area is directly below the guest stateroom above. Further aft down the hallwayafter the bathroom is the closet housing the Whirlpool washer and dryer. Proceeding aft down the hallway is the master stateroom suite with ensuite private head with sink/vanity and second Raritan Atlantes macerating head with wall mounted control panel. 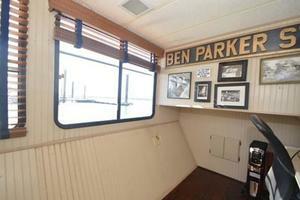 To port is the queen berth with double reading lights, overhead ceiling fan and window above headboard. 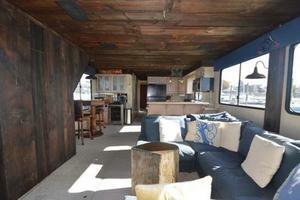 2 nigh tables flank the berth. 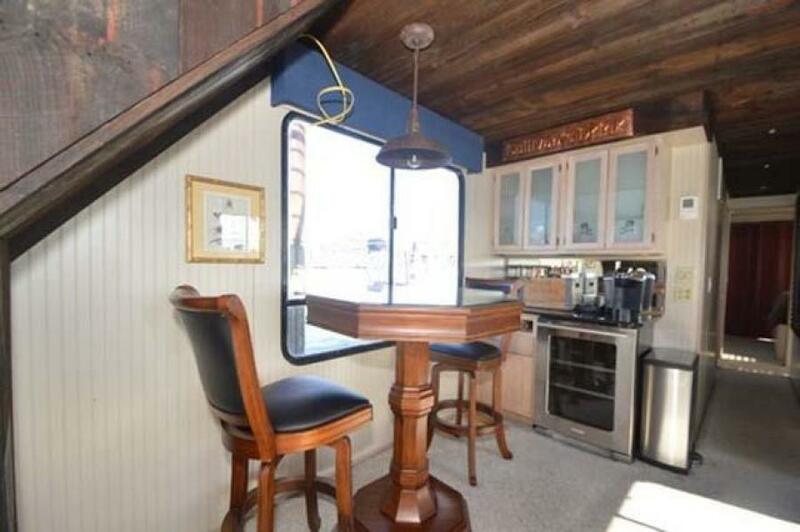 Opposite wall features large hanging closet. 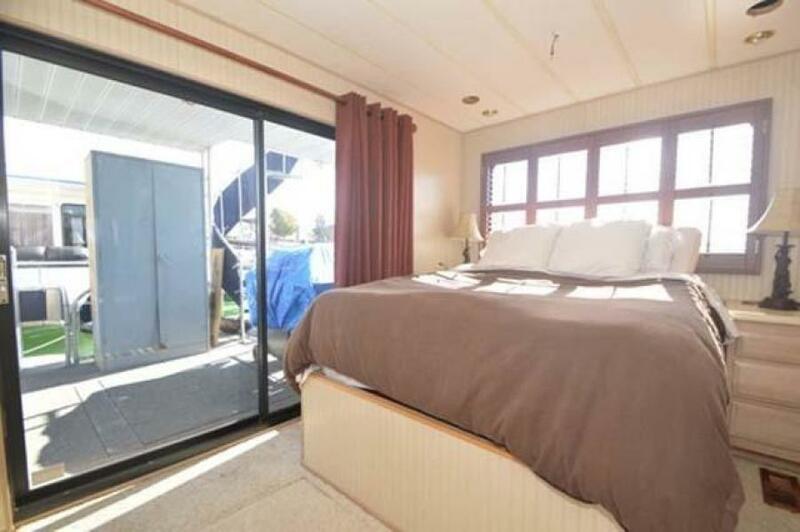 The aft wall is a large sliding door which leads out the private owner's deck. This deck features engine access hatches, full indoor/outdoor carpeting and spiral stairwell leading up to the flybridge deck. The second access to this deck is provided by a side stairwell located forward and to starboard next to the foredeck porch entry. 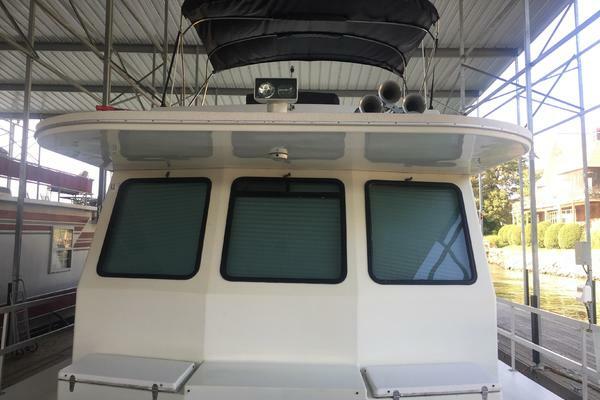 Beautiful custom blinds adorn the entire vessel and climate control is by forced hot/cold air ducting sourced by heat pump.